Adobe has today released Adobe Premiere Elements 8, imaging software aimed at photographers who want to create movies with their images. ‘It’s become easier than ever to shoot video on the fly, but most people don’t realise it?s just as easy to take raw clips and turn them into a movie that will impress friends and family,’ said Adobe spokesman Doug Mack. 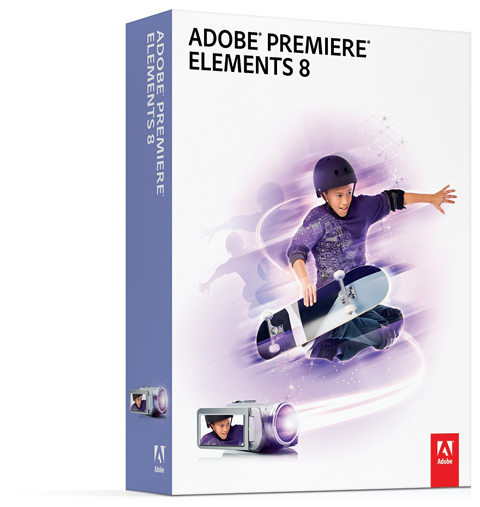 Adobe Premiere Elements 8 enables user to edit their movies, apply ‘professional-quality effects’ and organise their videos and photos via a media management hub. It includes a SmartFix function designed to enable automatic correction of ‘shaky footage’, for example.